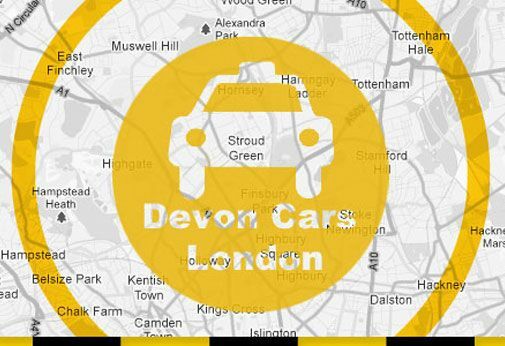 Devon Cars is a Taxi and Private Hire Vehicle (PHV) operator based in North London, North London. In addition to North London, Devon Cars also provides Taxi services to, from and within surrounding towns, districts and villages, including Crouch End, Haringey, Enfield, Edmonton, Stoke Newington, Hackney and many more. Outside the area shown on the local map of North London above, Devon Cars provides Private Hire Vehicles for journeys to UK airports including London Heathrow, London Gatwick and London Luton Airport. Of course we also serve railway stations including London Waterloo, London Victoria and London Charing Cross. Devon Cars is also the ideal choice for journeys To and From significant local venues and places of special interest, including Alexandra Palace, Royal Airforce Museum and Lee Valley Park Farms. For a guide to our Fare Prices, please see our Fare Guide Tables or contact our office on 020 7624 8111.